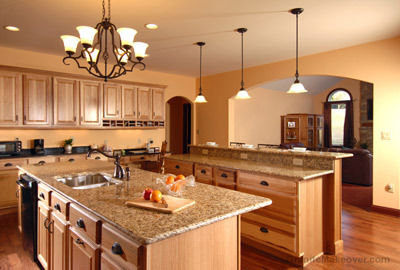 The Granite Kitchen Designer is designed to assist You with color selection. This is not going to exactly define the look of your kitchen but it will give you an idea of which colors will go best with each other by selecting your cabinet, wall, floor and granite you can pull your granite colors into the various elements of your kitchen. Note: some color names may differ by region. Designing your kitchen should not be taken lightly and if you are going to save a buck or two you will want to make some of these decisions on your own. 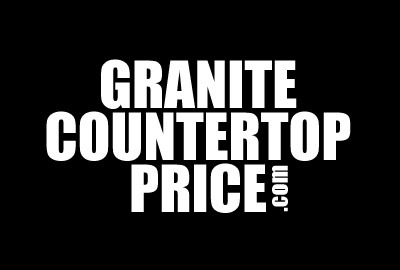 If you are going to go to a fabricator for your granite countertops be prepared that they will not have a designer on staff to give you free advice. They will give you there opinion but that does not mean that they know anything about color trends. They typically know what they sell al lot of and they know generally what goes well together. But rest assured they are typically not designers. The kitchen designer is a great tool to help you make these decisions. In the end the most import thing is that you like it and that it will be re sellable in the future. Attention Granite Fabricators: Want the virtual kitchen designer on your web site? The Virtual Kitchen Designer is a great tool to help move the customer through the buying cycle for granite countertops. They can compare cabinet colors, wall colors, to granite colors with or without backslash etc. Help your customers help themselves through the granite color selection process with this easy to install virtual kitchen designer.